Fluff & Tuff Willie Orca is a truly magnificent beast! Roaming the oceans in search of a little boy he can free...no, hang on that's not right...Ah yes, he's actually looking for the best boy out there, he means a dog, though frankly Fluff & Tuff also make fab gifts for human people too! Where was I? Ah yes, Free Willie! 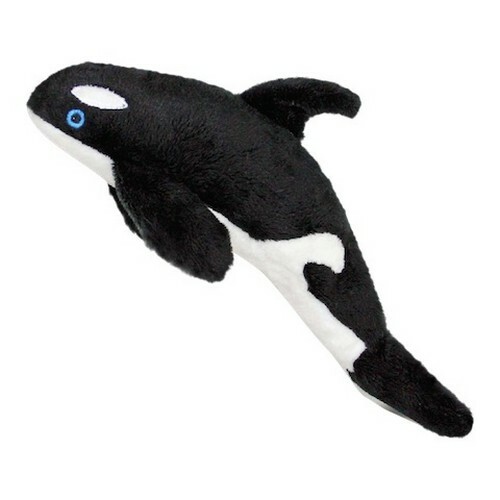 The Fluff & Tuff Willie Orca has double-stitched reinforced seams, sewn eyes, durable mesh inner lining for the under amour and a non-toxic fibre stuffing for your dog's enjoyment.